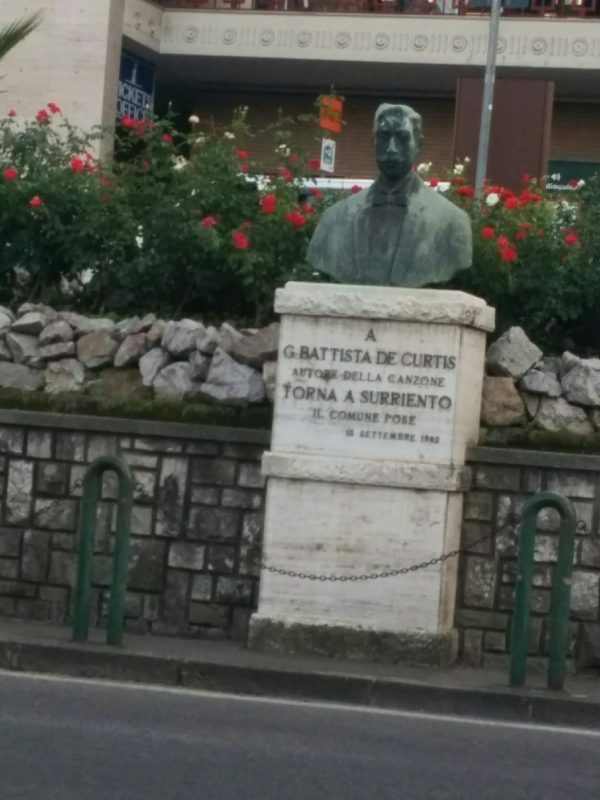 Between the Circumvesuviana train station and the Sita bus station in Sorrento there stands the bust of Giambattista de Curtis. Why did he deserve a statue? So I started to look up his name and discovered Carmela of Sorrento. What a nice Hebrew name she has! That’s my excuse to write about Sorrento. Doctor Google says that Giambattista de Curtis (20 July 1860 – 15 January 1926) was an Italian painter and poet remembered today for his song lyrics. De Curtis felt a great love for Sorrento, where from 1891 until 1910 he passed six months of every year at the Grand Hotel of Guglielmo Tramontano, who was mayor at the time. Perhaps the poet’s popularity brought guests to the hotel. It was during his stay in Sorrento that he found his love, Carmela. Imagine such a beautiful woman with a wonderful Hebrew name here on the Gulf of Naples! So De Curtis met Carmela Maione in Sorrento in 1892. She would inspire his most famous song, Duorme Carmè or Carmela. Tour guides say that Carmela came to the hotel with a basket of fruits. “What is your name?” asked De Curtis. “Carmela Maione”, the girl answered, “I’m a daughter of a warden and live in Fuorimura”. “And what do you do usually?” asked again Giambattista De Curtis. Inspired Giambattista De Curtis wrote a song about this girl and named it “Carmela“. Nevertheless, he did not wed until 1910, when, at the age of fifty and after nearly twenty years’ engagement, he married Carolina Scognamiglio. And there’s no rose more beautiful! The most beautiful thing in life is to sleep! I want with you to Paradise! She sings a beautiful song. And only I understand this pain. Your voice is so beautiful to listen! And you make me fly up to the sky! In Paradise there’s not this place. Do you remember? For me you’re the fairy! The local bust sculpture claims that the most popular song that Giambattista de Curtis wrote was Torna a Surriento – Come Back to Sorrento. You probably recognise the melody. Now I also want to return to Sorrento. 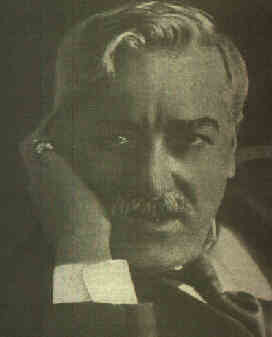 The mayor, Tramontano, asked de Curtis and his brother, Ernesto, to write a song honoring the prime minister of Italy, Giuseppe Zanardelli, staying at the hotel in 1902. More recent research indicates that “Torna a Surriento” may merely have been reworked for the occasion; family papers indicate that the brothers deposited a copy with the Italian Society of Authors and Editors in 1894, eight years before they claimed to have written it. that love you so much.